This Friday at AMC, fetch your treats and tickets to Wes Anderson’s new underdog adventure, ISLE OF DOGS. 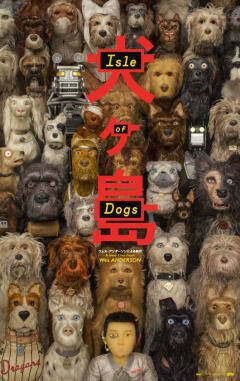 The stop-motion animated film is his second in the genre, following the Oscar®-nominated FANTASTIC MR. FOX (2009), and movie lovers are already lapping up the storyline: At its SXSW premiere, ISLE OF DOGS took home the Audience Award in the Headliners section. In somewhat-dystopian Japan, 20 years into the future, “canine saturation has reached epidemic proportions,” and dog flu has spread throughout the city of Megasaki. Mayor Kobayashi (co-writer Kunichi Nomura), in a swift executive decree, orders all pooches to be quarantined on Trash Island — including Spots (Liev Schreiber), loyal companion to the mayor’s orphaned ward, Atari Kobayashi (Koyu Rankin). Understandably, 12-year-old Atari doesn’t take the news well, and he sets off to the wasteland alone in a miniature Junior-Turbo Prop to rescue his best friend. 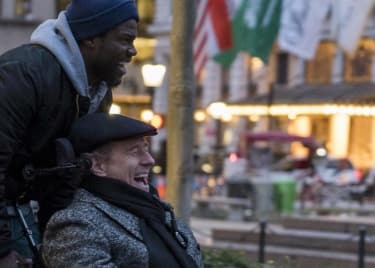 There, he meets “a pack of scary, indestructible alpha dogs” — Rex (Edward Norton), King (Bob Balaban), Boss (Bill Murray), Duke (Jeff Goldblum) and Chief (Bryan Cranston) — who can’t stomach any more garbage, both literally and figuratively. Together, they begin an epic journey, while back in Megasaki, a group of dog lovers unite to expose a government conspiracy. Hear about the making of ISLE OF DOGS from a few of the film’s 27 animators. 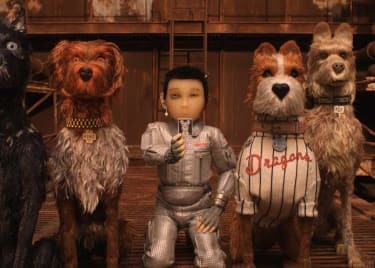 Though animation is not Anderson’s primary art form, ISLE OF DOGS is as quirky, witty and whimsical as any of his live action films (maybe more so). 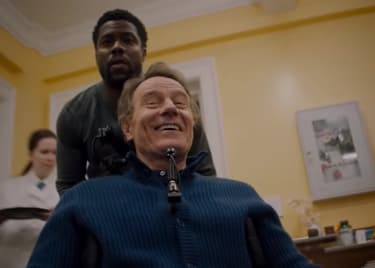 His distinctive style transcends genres and is further elevated by an A-list cast, including Scarlett Johansson, Tilda Swinton, Greta Gerwig and Yoko Ono. Gather your pack to see ISLE OF DOGS this Friday, March 23, at an AMC near you. Browse showtimes and get your tickets today.